I was raised as, and have always been, an active person. Coming from a family of all-star athletes, putting myself out there and being competitive has always been a huge part of who I am. I ran track and field, played field hockey, captained my junior high school basketball team and tackled a lot of people in rugby to name a few. And guess what? I did all this while being plus size and the world didn’t come to a halting stop. This is why when I am ridiculed for my size and told that I need to get healthier, my frustration always hits an all time high. First of all, the fact that someone, who knows nothing about me, feels entitled enough to give me advice on the state of my health is beyond me. Followed by the fact that I could probably bench press more than they could on a good day, these accusations that how I look somehow dictates how healthy I am are so fundamentally flawed. There is a huge stigma regarding fuller figured women being healthy and being able to enjoy movement. 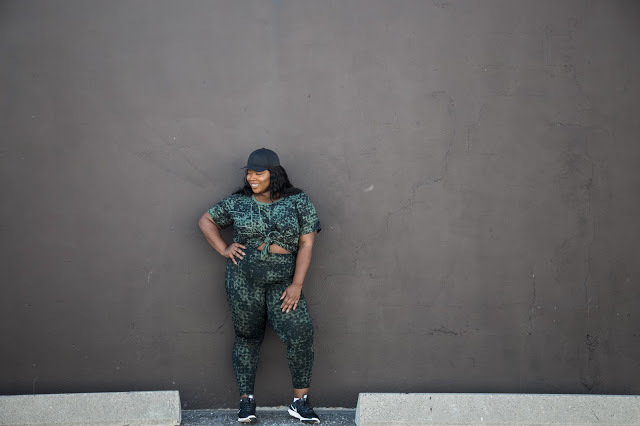 Our biggest criticism is that we aren’t active or we aren’t strong, and it is this constant stream of negativity that leads to so many plus size and full figured women shying away from going to a gym or working out. I remember joining a gym during the summer before I started university as a way to stay healthy and trying to get ahead of that dreaded freshman 15. 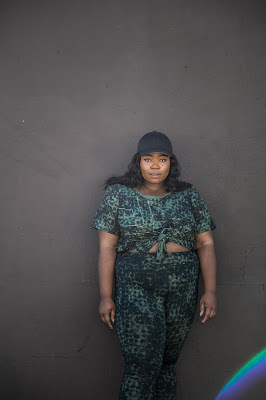 I was so excited for my first gym session, having gotten a cute outfit together and a solid playlist ready to go; however, as soon I stepped into that nationally-known gym, my excitement went out the door. Every single eye in that gym was on me and I was faced by a sea of faces that ranged from “oh wow, like she really needs to be here” to “hunny, you clearly missed your stop on the bus”. At that point in my life, I was not nearly as comfortable with my body as I am today, but I was always proud of the fact that I could prove myself athletically. But standing at the door way to a gym that preached inclusivity right in its slogan, I felt unbelievably scrutinized and othered solely on how I looked. I wish I could say that I stayed at that gym and proved all of them wrong but unfortunately my life is not an episode of Friends. I did go in and swipe my membership card under the scrutinizing eyes of the front desk clerk, and I did complete my workout; but, as soon as I walked out of that door I never went back. It took me a long time to be okay with gyms again after that, and to be honest, I am not quite there yet. As full figured women, we are always under the constant health magnifying glass, our everyday decisions and bodies being questioned. But we have to put an end to this mentality. Our bodies are unique and one of a kind, and no one can speak to our ability but us. My body is strong and capable of incredible things, but it is my journey (and mine alone!) to explore this capability. I want to share my health journey in the hopes that women and men in all shapes and sizes can see that you do not have to have a certain type of body to enjoy movement. I have days where I will go to the gym and work out hard, but then I will also have days when I’ll finish off a bag of sour watermelon candy while watching re-runs of Archer. There is no shame in choosing to not go the gym, and it is all about balance and understanding how your body works. I am not here to preach exercise at all, but rather, I’m here to say that it is an option for us as well. Do not feel scared about going out for a walk in you neighborhood because of what other people will think of you. Instead, go out on that walk because YOU want to. Because you’ve had a stressful day and need some fresh air. Don’t beat yourself up about staying in and ordering pizza because you had a bad fight with your girls and need the time to recharge. Our bodies are strong, curves and all, and I think it’s time we show the world. I am working to erase my own preconceptions and in turn helping others see that we are more than our appearance. Most importantly, we are capable of enjoying movement and being healthy despite what others think.